It should – except the United Arab Emirates copy writers are getting their English grammar right. 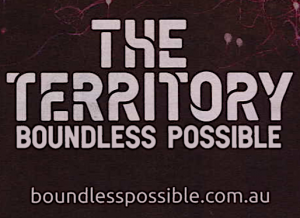 So, has the NT government, with its Boundless Possible campaign, pinched the idea from Dubai? Mmmh. The Dubai website looks it’s been around for a while, whereas the NT Government launched its spiel on August 28, six days ago. 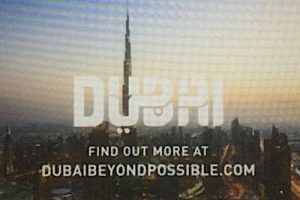 Did the NT use the same advertising agency as Dubai? How many taxpayers’ dollars did it pay to that agency, or to one plagiarising the slogan and its font? Are we getting a refund? Michael Gunner, please explain. We sent these questions to Mr Gunner’s minder and more than 24 hours later have had no reply. We’ll post it, if it comes to hand. It certainly rings a bell, writes historian Alex Nelson. 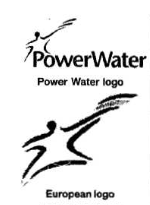 “A similar situation arose 16 years ago when PowerWater discovered its new logo was virtually identical to one used in Europe. Red faces all round. Mr Nelson says a report in the Centralian Advocate of November 19, 2002 quoted Power and Water managing director Kim Wood as saying the logo had cost less than $10,000 but it could cost as much as $1m to replace signage, stationery and uniforms. Is it just me, or is it the case that the “Boundless Possible” embarrassment has suffered a swift death, consigned quietly to the wheelie bin of history? Ah yes, a government elected into office that promised us all greater standards of honesty and accountability; but no, it’s just business as usual, that we’ve long endured for decades in the Northern Territory. It really makes no difference who’s in charge. This whole farce reminded me of the little golden book I read as a child, called The Emperor’s New Clothes. Once the tailor had the Kings ear, he convinced him that only the stupid people would not be able to see the magnificent new cloth. He was convinced that he was right and lapped up the tailor’s words that it was a beautiful cloth, and the King convinced all his followers and they all agreed, despite knowing better, because he’s the King, and he can’t be wrong. He never doubted the tailor, because he was told that it was the best, and he believed it, until a child with nothing to lose, pointed out the obvious. What a shame nobody use that wonderful Territory turn of phrase, “yeah … nah”, which seems more grammatically correct than boundless possible.